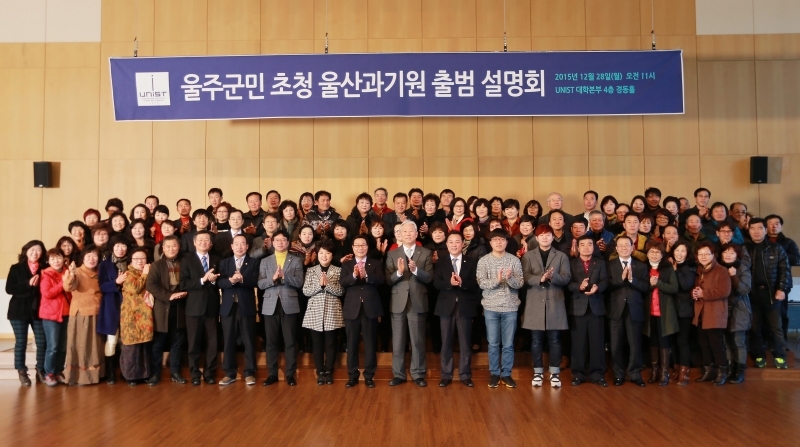 The executive members of UNIST and the guests from the Ulju County are posing for a portrait at the information session for the official launch of UNIST, held on Dec. 28the, 2015. The information session for the official launch of UNIST, held on Dec. 28th, 2015. 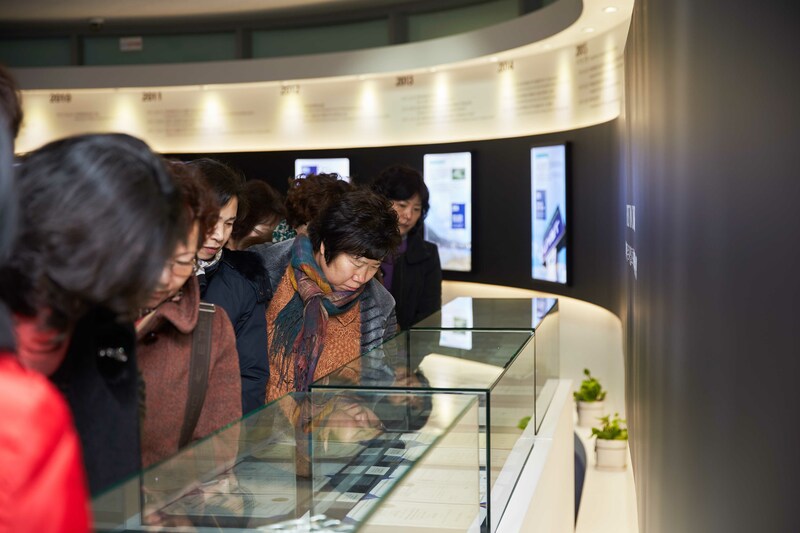 On December 28th, UNIST invited the public to attend the annual community information session to learn more about the official launch of UNIST, as a government-funded research institute. 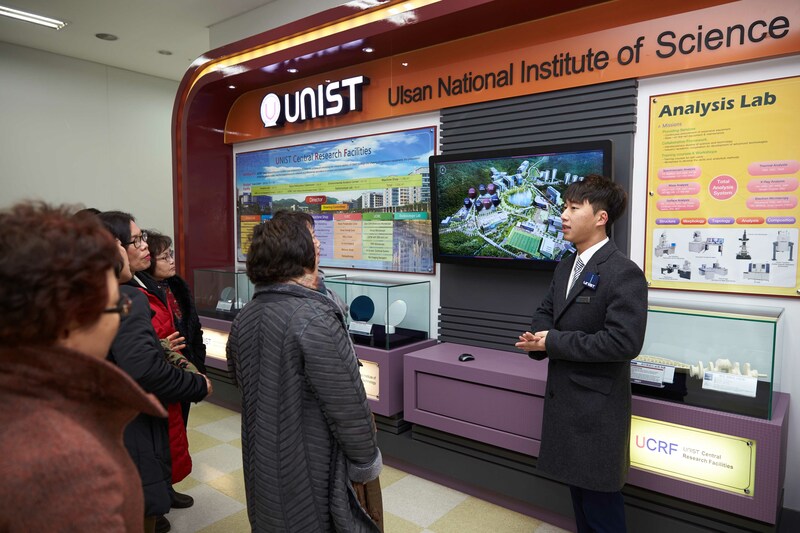 By inviting the Ulju-gun residents to a community information session, UNIST hoped to ensure that the current capabilities and future directions of UNIST are being heard and understood by the Ulju-gun community. This year’s information session offers a student-guided campus tour, followed by an informal MEET & GREET luncheon with UNIST students. Lasting approximately 30 minutes, the campus tour includes a visit to the History Hall, the UNIST Central Research Facilities (UCRF), and a look at several academic facilities. 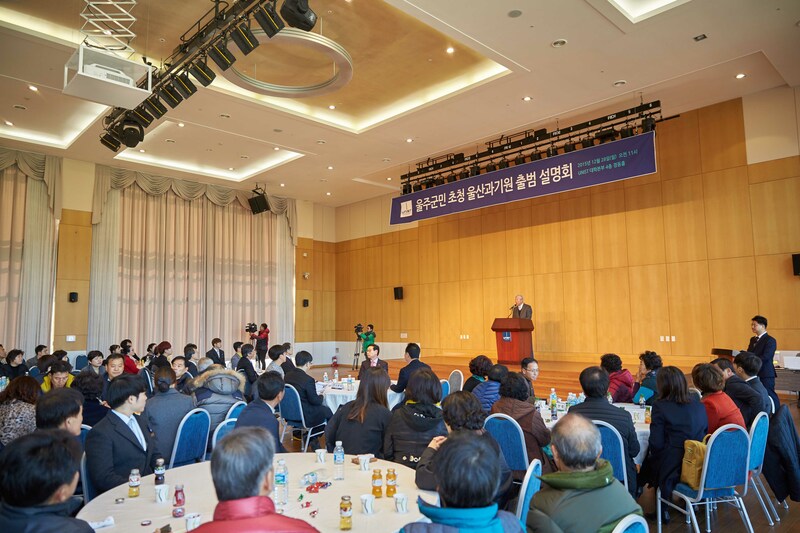 The event consists of congratulatory remarks by the Mayor Jang Yul Shin of Ulju-gun and the members of the Ulju-gun assembly, a welcome adress by UNIST President, Mooyoung Jung, and a greeting of gratitude by the student president on behalf of the UNIST Student Body.